Reiki calms. It reduces stress, and provides deep relaxation, comfort & peace. Reiki may bring spiritual clarity. Reiki offers relief during emotional distress and sorrow. Reiki helps in the grieving process. It cleans and clears the emotions from being so draining and offers perspective. Reiki can improve good blood circulation and stop small bleedings. Reiki can cleanse organs (liver, kidneys, arteries, spleen, gall bladder, lungs & heart). Reiki speeds up recovery from surgery or long-term illness. As it tends to reduce side-effects, it helps in adjusting to medicine/treatment. For example, Chemo-therapy patients who received Reiki noticed a marked decrease in side effects from treatment. Reiki can also be put directly in medicine (as well as food and water). Reiki purifies environments, and can facilitate the removal of negative energy from an office, house, garden, room, etc. 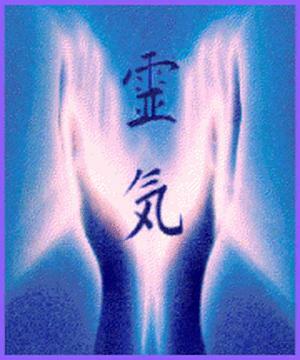 Reiki is for everyone: it helps to heal adults, elderly, babies (in mother’s stomach), toddlers, children and pets. Reiki for pets? Yes, pets may be helped in their recovery from stress, separation anxiety, trauma, and illness. 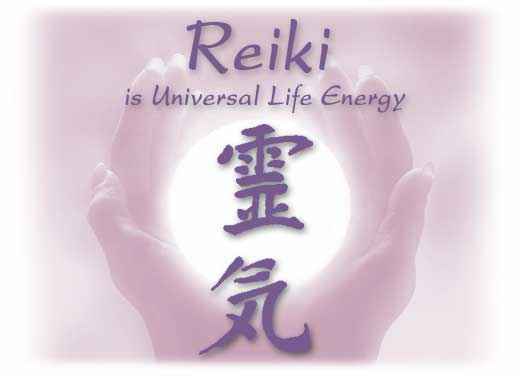 Reiki is positive energy. It never causes harm to any living thing! Reiki is recommended for ongoing health maintenance. It promotes strong health & prevents illness. Reiki works on the physical, emotional, mental and spiritual levels & may help you to enhance every aspect of your life. This particular Laying on of the Hands Healing Japanese technique was taught by Dr. Mikao Usui, the founder of the Reiki System of Natural Healing. Reiki treats the whole person including body, emotions, mind and spirit creating many beneficial effects that include relaxation and feelings of peace, security and well-being. In a typical whole-body Reiki treatment, the Reiki Practitioner instructs the recipient to lie down on usually a massage table and relax. Loose and comfortable clothing is usually worn during the treatment. Both the Practitioner & the client may take a few moments to enter a calm or meditative state of mind before the session, thus proceeding with hands on healing technique. However, Practitioners may use a non-touching technique, where the hands are held a few centimeters away from the recipient’s body for some or all of the positions. The hands are usually kept in a position for three to five minutes before moving to the next position. Overall, the hand positions usually give a general coverage of the head, the front and back of the torso, the knees, and feet. Between 12 and 20 positions are used with the whole treatment lasting about one hour. Reiki involves the transfer of energy through the Practitioner to client to enhance the body’s natural ability to heal itself, through the balancing of energy. Reiki utilizes specific techniques for restoring and balancing the natural life force energy within the body. Reiki energy has several basic effects: it brings about deep relaxation, removes energy blockages, detoxifies the system, provides new vitality in the form of healing universal life energy, and increases the vibration frequency of the body.